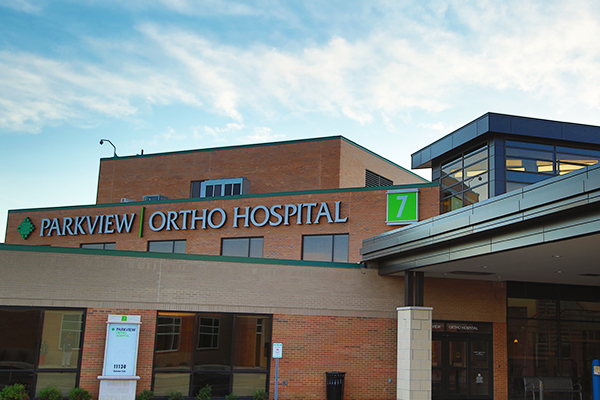 This post was written by Courtney Leach, digital/social media manager, Parkview Health. When my oldest daughter was five, she tripped over a string of Christmas lights and cut her chin. The gash required stitches, her second set in just over a year. The difference was, this time around she knew what was coming, which triggered a cascade of defensive, primal responses. After an hour of strategizing, the care team informed us our little girl would have to be sedated for them to safely place the sutures. When it came time to return to the hospital and have them removed, her behavior wasn’t much better. She thrashed and sobbed and shook her head wildly to avoid the perceived threat of pain. It didn’t matter what her father or the nurses said, she was ferocious with fear. That was until a patient woman, armed with something called a buzzy, entered the room. 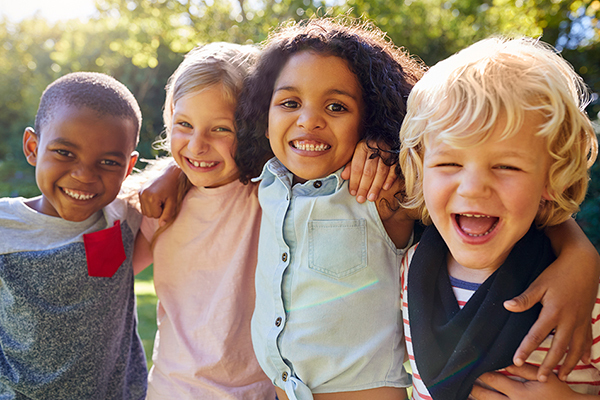 I wasn’t there to witness it myself – the last thing we needed was more tears – but according to my husband, she came in, placed the vibrating plastic bug on my daughter’s leg and soothed her until the stitches were successfully removed. The clouds parted and a rainbow appeared. We later put a title to our savior that day. She was a child life specialist, and more than four years later, on a somewhat sunny Thursday just before the arrival of spring, I would finally get my chance to thank one of her team members in person and witness the group’s exceptional work for myself. 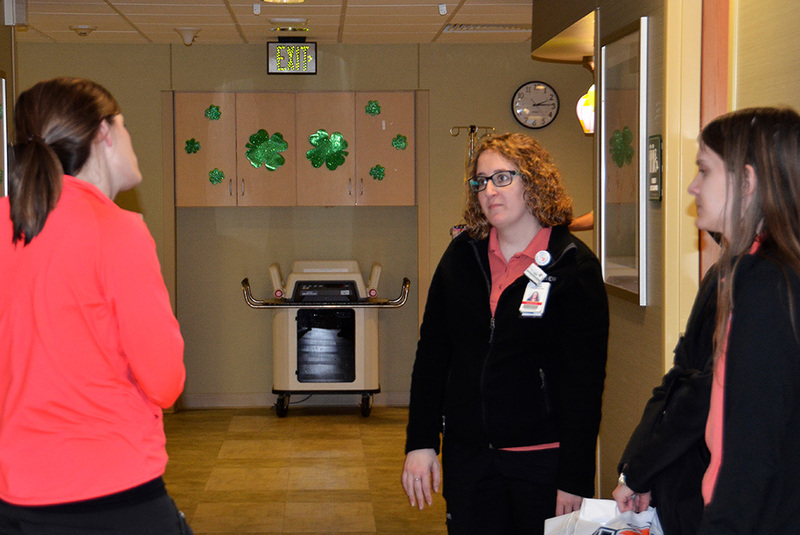 Just before 8 a.m. Molly Gerke, BS, CCLS, certified child life specialist, walked past the cheerful hot air balloon wall fixtures in the entryway of the Pediatric unit at Parkview Regional Medical Center (PRMC) and greeted me with a broad, brilliant smile. We walked back to her office to settle in and started diving into her role before either of us had unpacked. “Gosh, I could talk about child life forever,” she said. “It’s just grown so much! It’s actually become a pretty competitive field. They’re just finding such a need for it. Where it used to be offered in hospitals alone, for education and normalization, now it’s being utilized in pediatric offices, where children get immunizations and other treatments.” The idea is to get ahead of a little one’s clinical experiences and make them as stress-free and positive as possible, avoiding any interactions that might bruise their impression of treatment. Colleen Banta, who retired in November 2017, started Parkview’s Child Life program in 1989. “I honestly don’t know how she did it,” Molly said. “She was doing Child Life part time. Now that I’m in her old role, I know how much administrative work is involved – getting sponsors, applying for grants, organizing volunteers and donations. It’s a lot.” In 2012, Colleen secured a grant to place a child life specialist in the Emergency Department at Parkview Hospital Randallia, which brought Molly to the team. 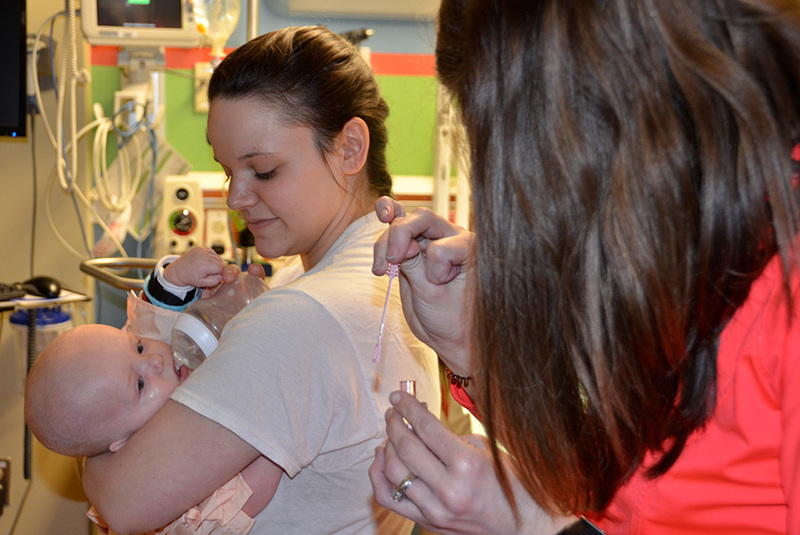 Megan Kariger, both certified child life specialists, brought the team to three. The duo alternates between the ERs at Randallia and PRMC, and work from 2-10 p.m. The specialists are also trained to work with a variety of developmental delays and mental health conditions, such as autism. 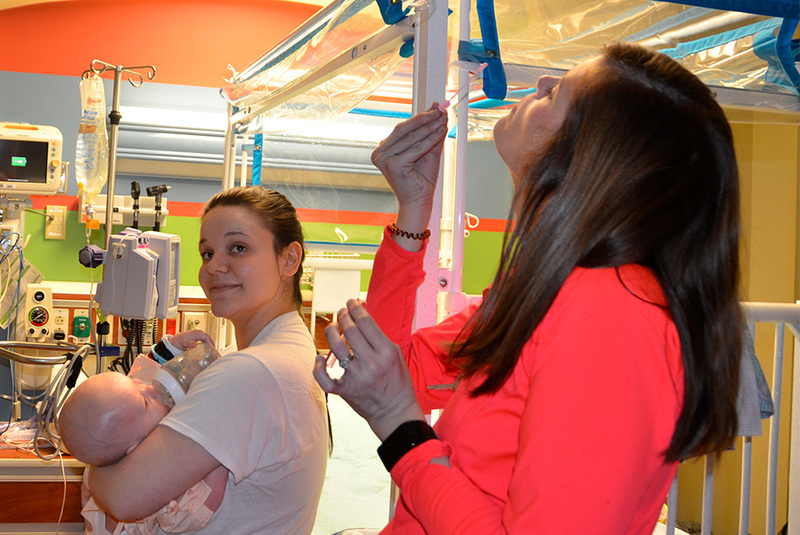 “We typically treat kids up to the age of 18, but I’ve worked with 23 year olds with developmental delays before in the Progressive Unit,” Molly said. “That’s a very special gift,” I said. “Not everyone could handle that.” She shrugged. Molly slowed her pace just a tad as we entered a room at the end of the hall. The curtains were raised halfway up the glass, casting a promising sunlight across the far side of the space. The faint sound of cartoons diluted the beeps of the monitors. Molly walked over and introduced herself to the patient’s parents. The young gentleman had been diagnosed with type 1 diabetes earlier that day. “I try to get in on these cases early so I can work with the diabetes educators from the beginning,” she’d explained on the walk over. Anyone who’s spent any time with a young person knows that children love to tell stories. Their imaginations are spun from a painter’s palette rich with every color in the rainbow. This little guy was no exception. Molly leaned over the railing and I stood at the foot of his bed. We listened intently as our guide took us into his laboratory, where he was mixing potions and enjoying different levels of invisibility. Over the course of 20 minutes, we strapped on jetpacks and blasted off, sound effects ricocheting off the walls. At one point we were digging a tunnel to Mexico. Molly hung on his every word. “Who’s your favorite superhero?” she asked when there was an opening. He didn’t answer. “What’s the superpower of insulin, do you know? It gives us energy. Your body is special, because …” He blasted off again. Molly rode right along, undeterred by his dismissal of her attempt to engage. She planned to return to his room later to provide more education and resources. 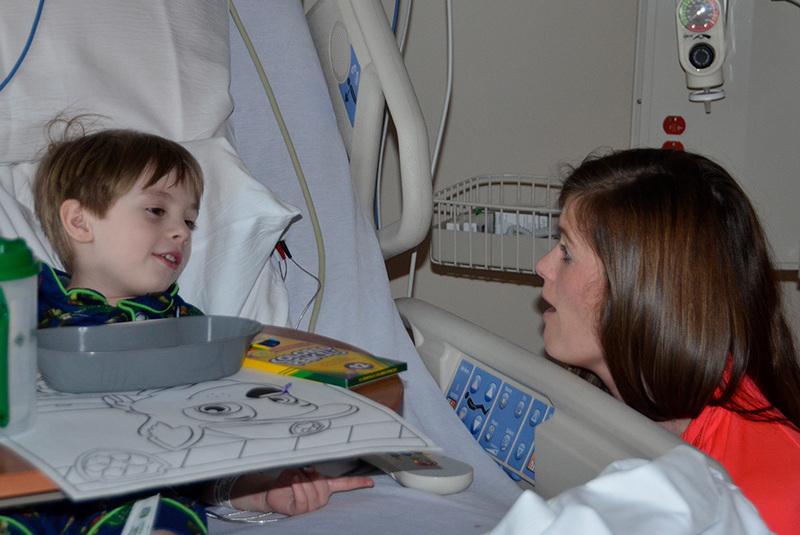 One of her favorites, a “shadow buddy”, is a drawing that allows the patient to color and follow along with a story that outlines their diagnosis in simple terms. “It’s an imaginative way to explain their condition,” she said. We walked into the room next door, where several caregivers were positioned around a large white crib. The two-year-old inside had just been extubated, and was mildly agitated. Molly suggested a weighted blanket to soothe the little one. When the nurse at the head of the bed agreed, Molly ran down to grab one. She draped the material delicately over the toddler and kept her hand on the child’s leg. She looked into the patient’s anxious eyes and offered something steady and safe. She was a reflection of peace. Molly’s a strong proponent of tools, such as the weighted blankets, that can help children in the clinical setting. “We’re piloting a sensory cart that we can bring into rooms, and I can’t say enough about the weighted blankets,” she said. “We’re working with this local company called CapeAble. They make hospital-grade blankets that can go into the MRI machines. We’re trying to get a research study around their ability to decrease pain and anxiety in the hospital setting.” The overall goal is to identify for which populations and procedures the blankets are most effective. “Oh! I wanted to drop off a stroller for that baby,” she recalled as we made our way back onto the third floor. The set of wheels were for a five-month-old who had been making his preference to keep moving known all morning. When we walked in, two lab technicians are there preparing for a blood draw. Their tiny patient was less than thrilled. Molly turned and grabed a container of sugar water. She dipped his pacifier in and took her position near his face. From where I was standing, I could see Molly’s thumb stroking the smooth skin of the tiny patient’s skull, a roadmap of veins rising to the surface, powered by eruptions of tears. She serenaded him with sweet, comforting sentiments, one in a choir of women working to soothe him. I looked over to his mother, who was bearing the universal expression of muffled agony. It’s the look most of us wear when our child cries from a well of fear or pain; a mask of simultaneous heartbreak and heroism. It’s involuntary and unmistakable. Molly agreed, and stood swaying with her, blowing bubbles into the air, working through possible strategies for the necessary bloodwork. 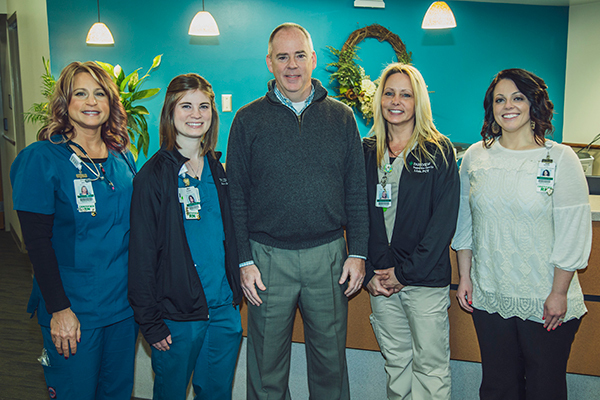 What I observed next might be one of the team’s greatest talents – their commitment to empowering a patient’s loved ones. In the most subtle but purposeful manner, Molly gave that mother the confidence to educate others in the room about what her son preferred and responded to. She identified her as the expert on his disposition and championed her input, always deferring to her for next steps. A few minutes later, Megan and Jalyssa approached the nurse’s station, both clad in the team’s signature salmon-colored shirts. We went back to the office to chat for a bit. I wanted to hear about the road that led these ladies to Child Life. 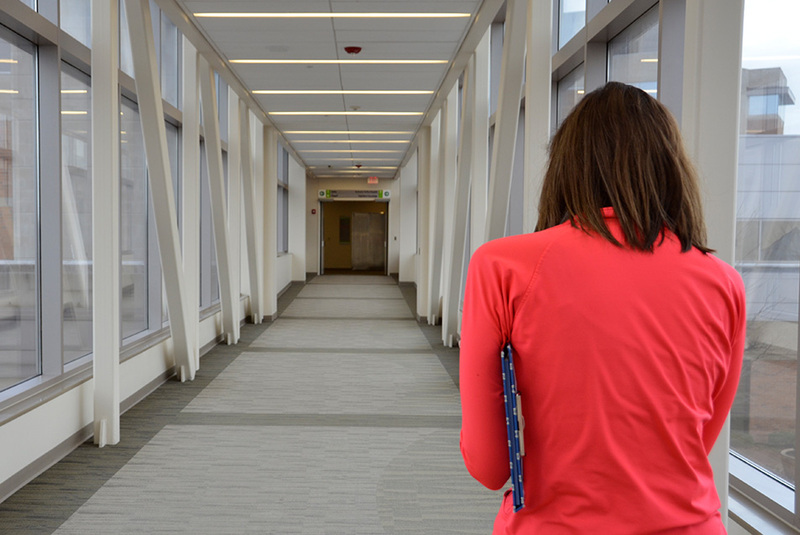 At noon, the team attended Swartz Rounds, a meeting held routinely throughout the year to reflect on the emotional trials and tolls of being a caregiver. The session was led by chaplain Tim O’Sullivan. “This is for us,” he opened, “because we know how it feels. We are the ones who must make that compassionate and empathetic connection.” A panel of caregivers shared their experiences surrounding one particular case, and Tim invited others in the room to add their own thoughts and experiences. The meeting concluded with a meditation led by holistic nursing. As the crowded room cleared out, I sat on a chair next to Jon Swanson, a chaplain at PRMC. Jon has been on a number of cases with the Child Life team. “A while ago, we had a five-year-old come in. Unfortunately she passed away.” Tears welled up in his eyes as his mind recalled details of the day, some of which he could share, others seemed too painful. “Everyone leaves the room, except us. We stay because a patient died. We stay because this was this family’s only daughter.” He takes another beat, swallows hard. Around 2 p.m. we greeted a group of Komets hockey players in the lobby. 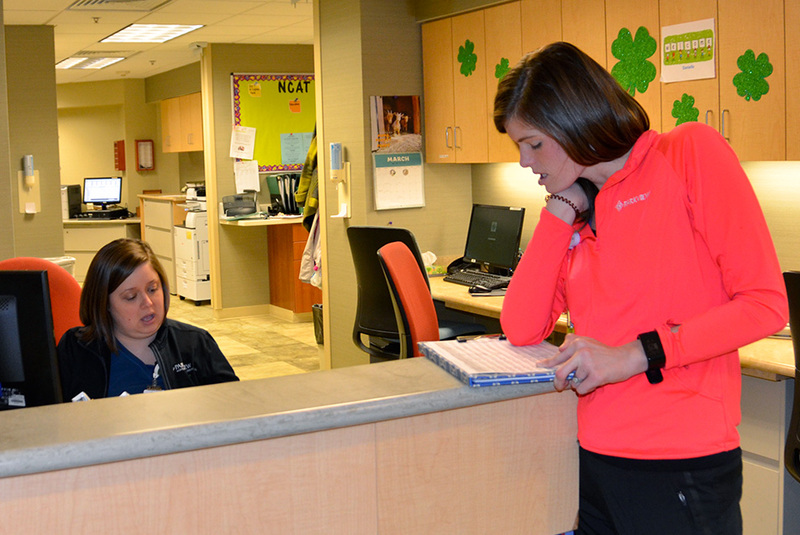 Coordinating and escorting special visitors around the hospital is part of Molly’s role. As Kyle Hope, Jamie Schaafsma, Anthony Petruzzelli and Chase Stewart made their way from room to room, handing out foam pucks and posing for pictures, I stood in the hallway, watching as Molly played hide and seek through panes of glass on a patient’s door. These were the moments where she seemed to shine the brightest; when she was swept away in a patient’s contagious spirit. No matter where the conversation took us during our time together, it always came back to play. With good reason. Play is a vehicle that carries unbridled expression, and that’s often where the truth resides. It’s where little ones lose themselves. Where they escape all of the things that scare them or confuse them or make them sad. The clock was climbing toward 5 o’clock, so we made our way back to Molly’s office. She stopped on her heels when a sad sound I’d heard often over the past several hours poured out of a patient room. Someone was crying. Someone was frightened. Someone needed soothing. Molly was through the door before I’d been able to halt my own momentum, crouched down on her shins asking questions about movie characters and superheroes. The crying had stopped. The situation had been diffused. Anguish averted. He was smiling when we left, but for me, the more noticeable expression was on his mother’s face. Her features had softened, relaxed and smoothed. Her mask removed. By caring for the woman’s son, Molly had administered the most powerful medicine there is – she’d given her peace of mind. She’d eased all of the tension and mitigated the unease associated with the child’s emotional distress. She’d liberated the clinical caregivers to perform the procedure. In a matter of minutes, Molly had reconfigured the energy and lifted up an entire room of people. Not bad for a bubble lady.